Trust Defender to make thieves and vandals think twice about approaching your property. Defender systems function just like a computer, with a mouse for pointing and clicking and an intuitive icon-based menu for easy set up and use. View anytime, anywhere with remote viewing via internet, smartphone, and tablet and receive email alerts, with photo, when motion is detected on your property. Record over 2 years’ worth of footage on the included 500GB hard drive. Connect up to eight cameras to this 8CH system and monitor your business or home inside and out. Don’t give thieves a chance. Stop them with Defender! You’d expect a system that keeps such a close eye over all you hold dear to be complex. You’ll be surprised how easily this Defender system operates. It functions just like a computer, with a mouse for pointing and clicking and an intuitive icon-based menu that provides prompts and coaching to assist you in navigating the system. It’s even so simple to use it will begin recording as soon as it’s plugged in. Your security system is only worthwhile if you can actually see the person stealing from you. 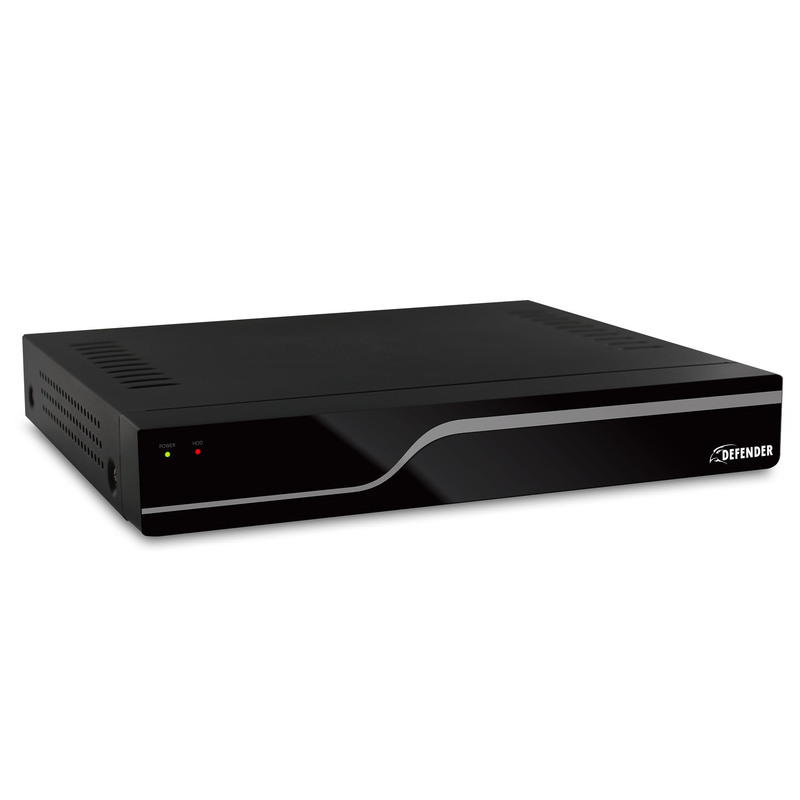 Defender DVR records in D1 resolution, which is the equivalent of 720 x 480 pixels or DVD quality. The resulting clear, crisp and accurate video feed will help put the criminal away. Everyone needs a vacation to get away from it all. With Defender you can enjoy yourself with peace of mind, knowing you can view your camera footage live online, anytime and anywhere. On either a PC or Mac you can use such search engines as Internet Explorer or Safari. You can also view footage on almost any smartphone, including iPhone, BlackBerry, Android, Windows Mobile, or Symbian, as well as on your iPad and most major tablets. Whether monitoring your business or home, you will always feel in control. You will instantly know if any suspicious activity is happening on your property. This Defender system is designed to send you an email alert, complete with photo, if any motion is detected on your property or if any of your cameras experience video loss. You’ll always be in the know, no matter where you are. DVR with 500GB HDD, 2 BNC to RCA connectors, 10ft RJ-45 ethernet cable, 6ft power adapter (cUL certified), 6ft RCA video cable, instruction manual & software CD, USB mouse, IR remote controller with batteries, qucik start guide, window warning stickers, 1 year manufacturer's direct warranty.